Welcome to this wonderful rural villa for 12 guests, located in Son Carrió, with a beautiful private garden and pool. Beautiful house with chlorine pool in Son Carrió, where 6 - 7 people can be accommodated feeling at home. A few kilometres from S'Illot Beach sets this modern and mediterranean styled villa in Son Carrió, offering a second home for 6 guests. 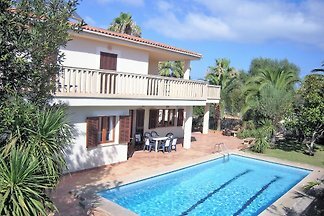 from 5 1 holiday homes & accommodations in San Lorenzo-Manacor were rated with an average of 5 out of 5 stars ! Rent successfully your holiday flat or holiday home in San Lorenzo-Manacor in only 20 minutes !